It was a very successful black and white Fundraiser Event put on by the Mt. Clemens Rotary Club. The room was finely decorated with elegance and the attendees were dressed to the 10's. There was an incredible ice carving of the TITANIC on the appetizer table and glimmering white lights were sparkling everywhere to get you in the mood for the dynamic orchestra. Yes, there was everything there, plus more. I believe that you will get a good glimpse of the finely dressed people and the glamour of the evening. It was a pleasure photographing this well planned gathering. 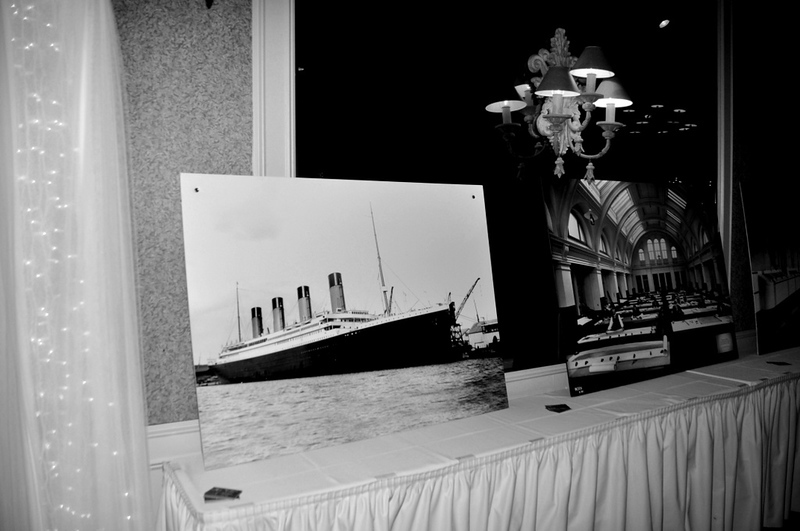 Enjoy the black and white pictures - you know, something different to match the TITANIC era.